WALLA WALLA -- A touch of mystery, a spash of sunshine and a day in wine country translated into the highlight of the 2010 North American Wine Bloggers Conference. After a fascinating lecture on the terroir of Washington and Walla Walla, all conference attendees loaded into 15 buses --with destination unknown. The transportation was a fleet of school buses. The destination remained a puzzle until we started rolling. 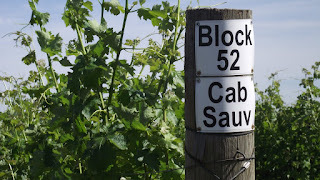 This added to the sense of rumbling excitement as we neared Les Collines Vineyard for a stroll through the vineyard, a meeting with owner Norm McKinnon and a wine tasting. 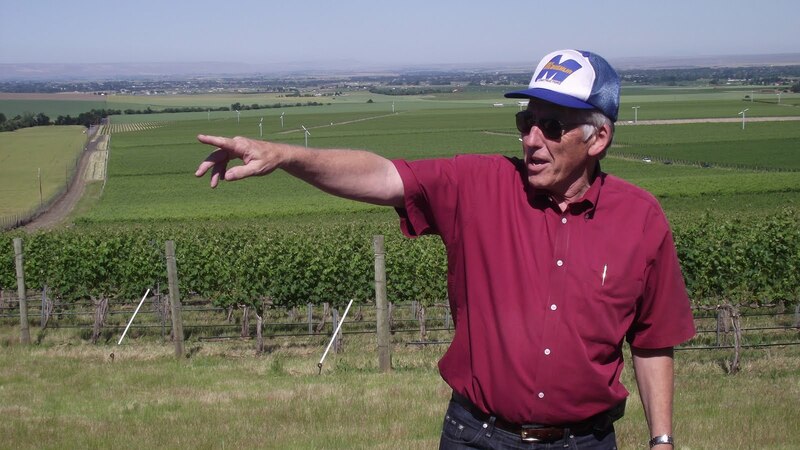 Norm is considered the godfather of vineyards in the Walla Walla area. Les Collines provides grapes for Amavi Cellars and Gramercy Cellars. Norm has a wealth of knowledge about vineyards, but was also able to provide the insight to show that the wine business is also a people business. One of the group (there were 15 of us) asked about old vines. Norm shared a story about visiting a vineyard in France that was planted in the year 990. In light of history like that, he considers the term "old vines" merely a marketing gimmick. The wine tasting included 2007 Amavi Cellars Les Collines Syrah, 2006 Gramercy Cellars Tempranillo and 2008 Gramercy Cellars Syrah. Norm termed the Syrah as "Merlot but with flavor." The Tempranillo was a softer wine with a nice acidity. The Gramercy Cellars Sryah was young in the bottle and much mellower than the Amavi. Our next stop was a mystery that was delicious to unwrap. 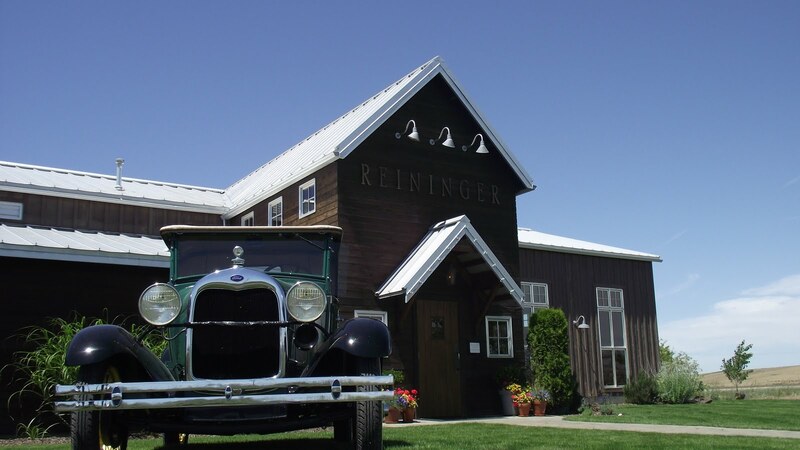 We arrived at Reininger Cellars which features a stylish tasting room which reflects the local history. The floor planks were from old potato sheds in the area. The counters were basalt which forms the geologic bedrock in the area. The bar even had grapevines from the surrounding vineyards. This stop was a bonus because it featured three winemakers: Chuck Reininger (pictured), Doug Roskelley of Tero Estates and Ron Coleman of Tammarack Cellars. 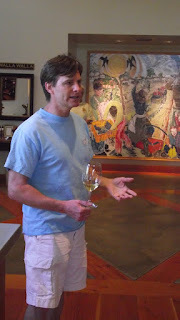 The trio engaged in a panel discussion and then narrated as we tasted three great wines. Our arrival wine was Reininger 2008 Chardonnay, quite a special wine that had a flavor to me of toast. Our tasting had three superb reds. From Reininger we had the 1999 Cima. This is Super Tuscan in style or, as Chuck termed it, a Superwallan. This is 50% Sangiovese, 25% Cabernet Sauvignon and 25% Merlot. This is an adventurous wine (cima is Italian for "summit") that has an Old World flavor with black cherry, anise and vanilla flavor notes. From Tero Estates we had the 2007 Windrow. This may have been my favorite of the whole mystery tour. According to Doug, this Bordeaux-style wine is designed to reflect the whole vineyard. 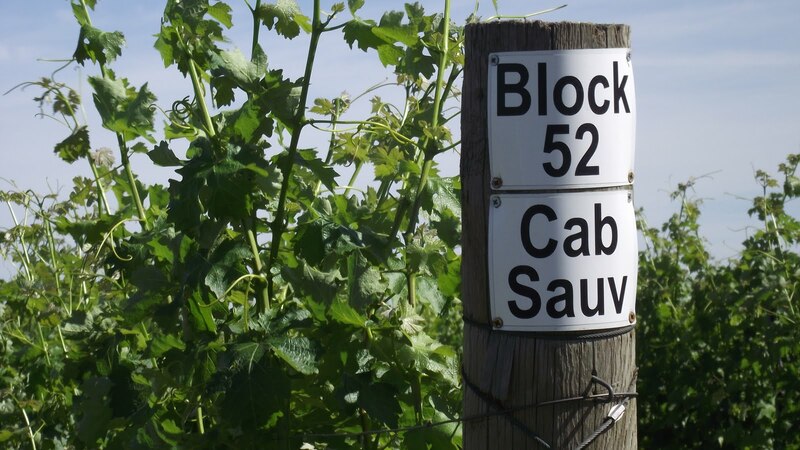 Windrow is one of the oldest vineyards in the valley (even though it is actually in Oregon)It is 70% Cabernet Sauvignon, 14% Merlot, 10% Cab Franc and 6% Malbec. This was a field blend -- all of the different grapes were picked on the same day and fermented together. This is Tero's signature wine. The plan is to produce Tero every year with the same blend percentages -- that way the only difference in the wine will be how the fruit reacts to Mother Nature that year. Batting clean-up was the Tamarack Cellars 2008 Cabernet Franc. This was among the top Cab Francs I tasted on my trip. According to Ron, there is a huge future in Cabernet Franc for the Walla Walla area. This wine was 100% Cab Franc and a total of 706 cases were produced. This is elegant with spiced cherry, plum and caramel. Nice rich tannins. 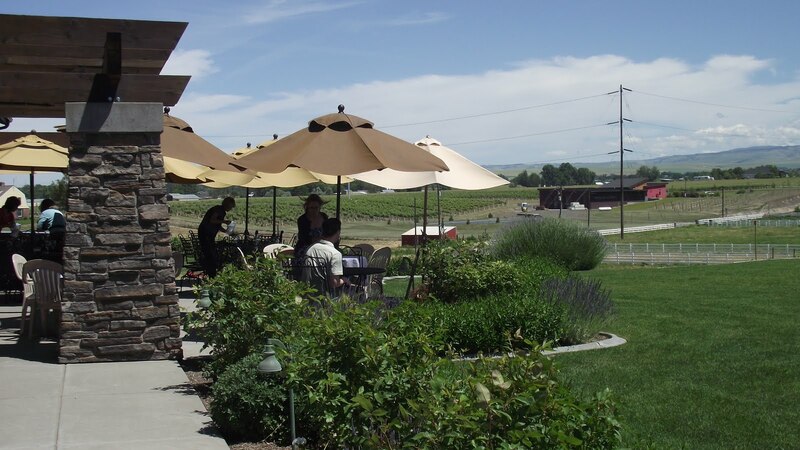 Our next mystery stop was Northstar Winery, an operation created by Chateau Ste. Michelle to focus on Merlot. 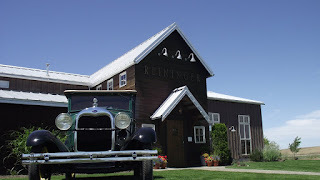 This is a top Washington wine destination. We enjoyed four wines with a tasty lunch on the patio. The welcome wine was the 2008 Stella Blanca Semillon. Nice but nothing special. The first wine sampled was the 2006 Northstar Walla Walla Merlot, which retails for $50. It is important to note that this is a big Merlot, which seems be the Washington style, not the somewhat wimpy Merlots which give the grape a bad name. This is an earthy wine with blackberry and cherry. It is full-bodied. My next sample was the 2005 Syrah, available for purchase only at the winery. This is a lush wine with a smoky, nutty character that went well with my steak sandwhich. The 2006 Columbia Valley Merlot rounded out the trio of reds. The grapes selected are the best of the best in the state. The Merlot is blended with Cabernet Sauvignon, Petit Verdot and Cab Franc. In the glass this showed vanilla, cherry and plum.